For a no frills hosting package at a great price, iPage is pretty hard to beat. Hosting is just $1.99 per month. Every webmaster or blogger needs a website hosting service that addresses their needs well. There are hundreds of hosting providers available now and we often get baffled trying to choose the best one. While there are a number of good hosting services available, iPage has gained immense popularity because of its dynamic hosting plans that offer many advanced features. The fact that iPage does not require site owners to have technical knowledge is a big positive. The simple, responsive features and affordable pricing of iPage hosting plans make them very attractive to webmasters that don’t have technical coding skills. Let’s review the salient features of iPage hosting services along with some disadvantages. Since 1998, iPage has been offering web-hosting services to internet users all over the world. Their main focus has been on securing the websites and emails of their customers. They strongly believe in flexibility and so offer simple, flexible hosting plans for businesses, non-profits, personal, and social websites. It may not be as popular as other service providers such as Bluehost, Hostgator, or Dreamhost, but it has maintained consistency and its position among one of the top 15 web-hosting providers globally. This web-hosting platform is ideal for websites that need a simple, reliable server with an easy-to-use interface, in an affordable price range. There’s no bells and whistles with this host. Just easy, simple and good value hosting. Let’s check out some of the key hosting features that have made iPage a popular choice among bloggers and webmasters. iPage offers a pretty user-friendly interface. The objective is to allow customers to host websites with minimum efforts. It provides sound technical support with two different options: 24/7 telephone support and online web chat. The turnaround time of the technical support team is very low, thus making it relatively easy for website owners resolve any issues they may come across. It has a dedicated NOC (Networks Operation Centre) to detect and quickly lock down any security breaches. It even offers a SiteLock Security Suite for appropriate security provision for websites. In fact, subscribers can post the ”SiteLock Secure’ badge on their website to indicate that the website’s security is being tested frequently. Webmasters can use spam-scanning features to ensure their email is not blocked by staying away from unwanted spam lists. With the help of daily malware scans, it is possible to keep the website clear of viruses and ensure protection against potential hack threats. iPage also allows users to implement restrictions on server access and access to selected sections of the site through the ‘.htaccess’ file. 100% uptime is simply not possible, even with the advancements in server technologies today. The server will go down every now and then, but good hosting providers ensure that such downtimes are as minimal as possible. iPage also offers 99.99% uptime, though, realistically, this number can fall down to 98.98% sometimes. Because of such consistent performance, iPage is considered very reliable by most webmasters, novice and experienced alike. iPage has purchased plenty of RECs (Renewable Energy Certificates) to drastically reduce its carbon footprint and offset their energy usage by almost 200%. It clearly shows its support for the global ‘Go Green’ initiative. Wind energy is used to power their data centres and servers. Such an eco-friendly initiative entitles every website hosted on iPage to receive an iPage green badge. The control panel offers easy, one-button installation of platforms such as Joomla and WordPress. It also provides the award winning ShopSite, which is one of the most user-friendly shopping cart software for small and medium-sized businesses. Mojo marketplace is also available. Subscribers also have access to free themes, plugins, logos, and graphics. MailCentral is used as the default email provider and users can create unlimited email accounts using the software. 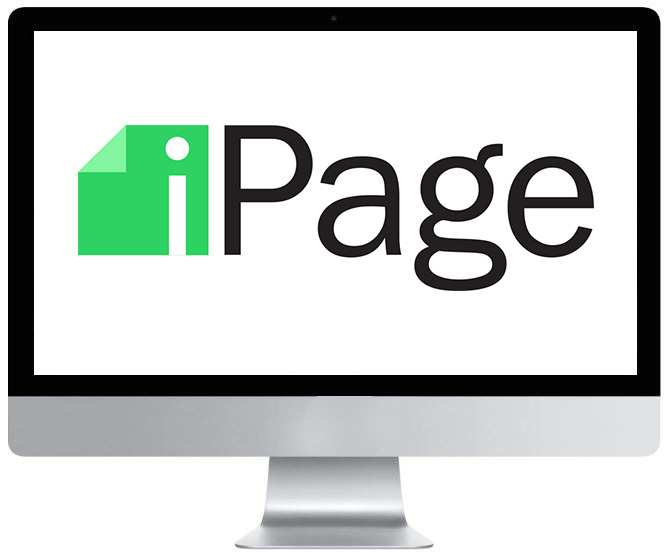 iPage also comes with some of the easiest to use website builder tools such as “Website Creator by CM4All” and “Weebly Drag and Drop Builder”. Both allow quick and easy creation of simple websites. CM4All can create some very basic website pages, but it is slower than Weebly though. Weebly’s drag and drop functionality make it a favourite among subscribers to create attractive web pages filled with contact forms, slides, social media links, maps, and photo galleries. The third site builder tool available is goMobi that empowers users to build mobile-optimissed websites or blogs. One of the best benefits that iPage offers is the enormous amount of services available at a very low price. 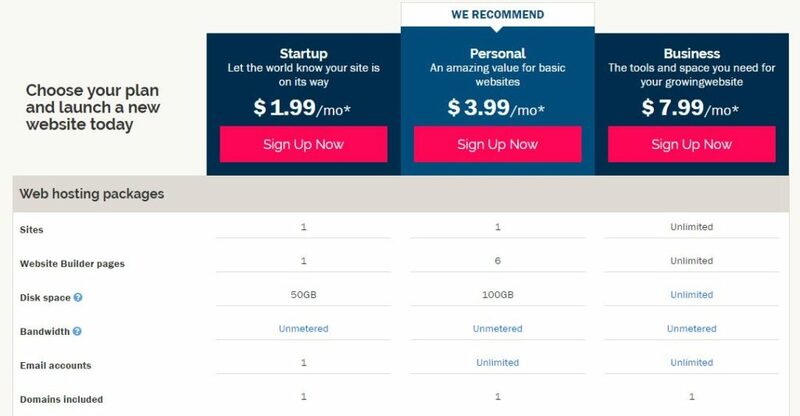 Most other service providers with hosting plans in a similar price range do not offer the kind of features that iPage does. The iPage Essential Plan for web hosting starts at $1.99 per month only for the initial term, with subsequent renewal rates standing at $8.99 per month. However, the services offered at this price point, such as unlimited bandwidth and storage space, are very good and competitive. This plan can be purchased with 1, 2, or 3-year subscriptions, with the best value offered by the three-year subscription. To cater to popular demand from WordPress lovers, iPage offers dedicated WordPress hosting with two different plans: WP Starter ($3.75 per month) and WP Essential ($6.95 per month). The Virtual Private Server hosting plan begins at a price of $19.99 per month (only for the initial term), with renewal available at rates of $24.99 per month. iPage offers 3 different plans for its Linux-based servers: Basic, Business and Optimum. The Basic plan includes 1GB RAM, 40GB storage and 1TB of monthly data transfers. The Business plan includes 4GB RAM, 90GB storage and 3TB of monthly data transfers while the Optimum plan consists of 8GB RAM, 120GB storage and 4TB of monthly data transfers. The Linux-based dedicated server plans offered at a starting price of $119.99 per month (only for the initial term), with renewal rates at $149.99 per month. This hosting package is provided in 3 different plans: Startup, Professional and Enterprise. The Startup plan includes 2 cores, 4GB RAM, 500GB Storage and 5TB Bandwidth. The Professional plan consists of 4 cores, 8GB RAM, 1000GB Storage and 10TB Bandwidth while the Enterprise plan offers 4 cores, 16GB RAM, 1000GB Storage and 15TB Bandwidth. It offers unlimited disk space, unlimited bandwidth along with robust third-party application support. Users also get 1GB of free cloud storage from JustCloud. It offers free extras as well, such as $100 Google Adwords credit and $100 Yahoo/Bing credit. Your website also gets a free yellowpages.com listing. The 30-day money back offer allows users to try out the hosting package before taking a long-term decision to continue with iPage. A major disadvantage is that iPage offers dedicated server hosting only for Linux-servers and not for Windows. It does not offer SSH or script library for the hard-core developers and so iPage may not be suitable if you’re looking for such features. The renewal prices for most hosting plans provided by iPage are much higher than the introductory plans. Most plans are available only for long-term subscriptions (1 year or 2 years or so on) and not with a monthly or quarterly subscription. With limited shared hosting plans (just one), there is plenty of aggressive upselling witnessed with iPage services. It means that add-on features like automatic site backup, domain privacy, and SSL, need to be purchased separately. What do you look for in a hosting provider? What features do you consider most important? Have you used iPage before? Let us know in the comments below, and thanks for reading! I have had 3 websites hosted with iPage over the past 6 years and no way have they ever met the 99.92% up-time stated here! In fact, the reason I am reading this website here is that I am in the market for a new host provider because one of my most important websites I have hosted with iPage has been down for over 29 hours straight now. Yes they do offer 24/7 support, but, all they tell me is “this is complicated”, and “it takes time”, and “we have elevated your issue to a higher level”, and the best they can do is, “we have assigned a superior technician to your case”. If up-time is important to you, do not go with iPage.